Here is why I like my DROID. 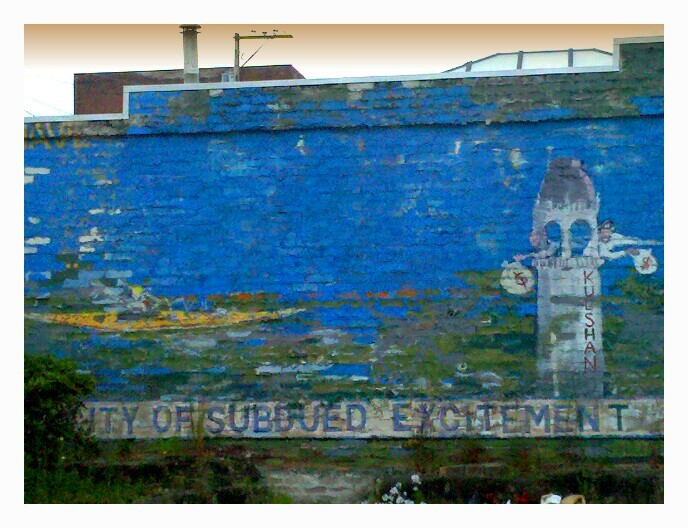 Take an ordinary mural, such as this one representing Bellingham, or the City of Subdued Excitement, on the side of a building at dusk. There’s a unauthorized vehicle sign, threatening a tow which muddies the wall – not to mention the fact it’s just kind of dark. 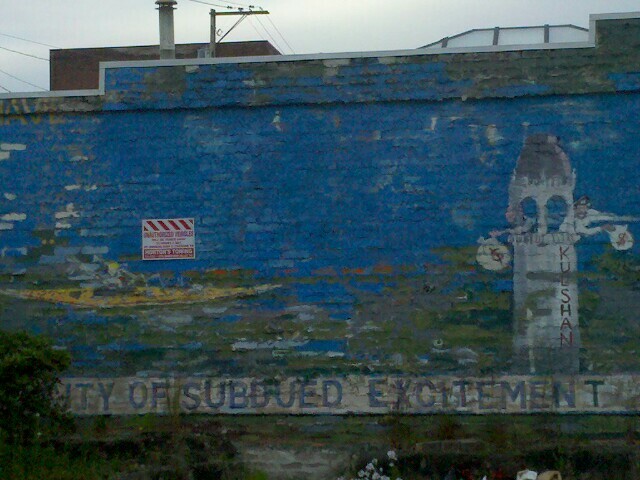 Once again, Picsay Pro comes to the rescue. Adjust the exposure, increase the saturation, apply a filter to the sky to add interest and five minutes later the city comes to life! Best part is, the no parking sign quietly disappears within my border.